Italy is just so utterly amazing and its coastal regions are especially alluring. But how to choose a location? To help, we’ve cherry-picked some of the most gorgeous seaside towns in Italy to get you going. 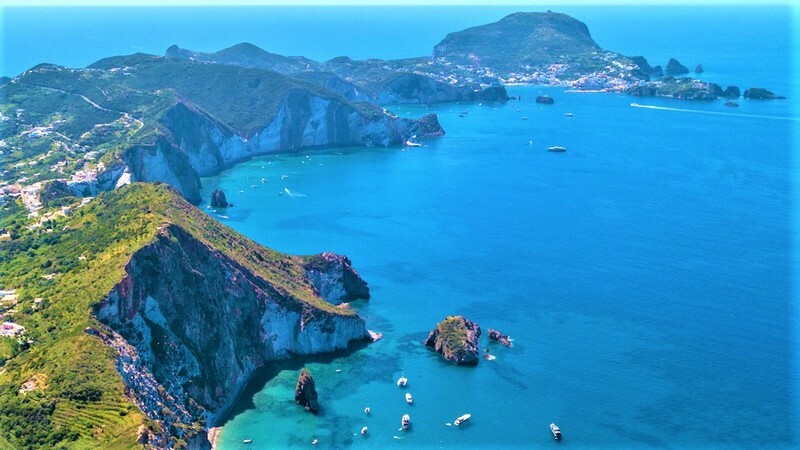 Pretty Ponza is a firm favourite of many travellers, offering some of the most astonishingly gorgeous scenes in all of Italy. This little-known haven is a small island that seems to have retained all that Italian authenticity you’d be hoping for, with traditional fishing boats, quiet shorelines, and stunning food. If you’re looking for time alone with a good book and a great atmosphere, then Ponza is the one to beat. Puglia sits overlooking the gloriously bright waters of both the Adriatic and Ionian seas. 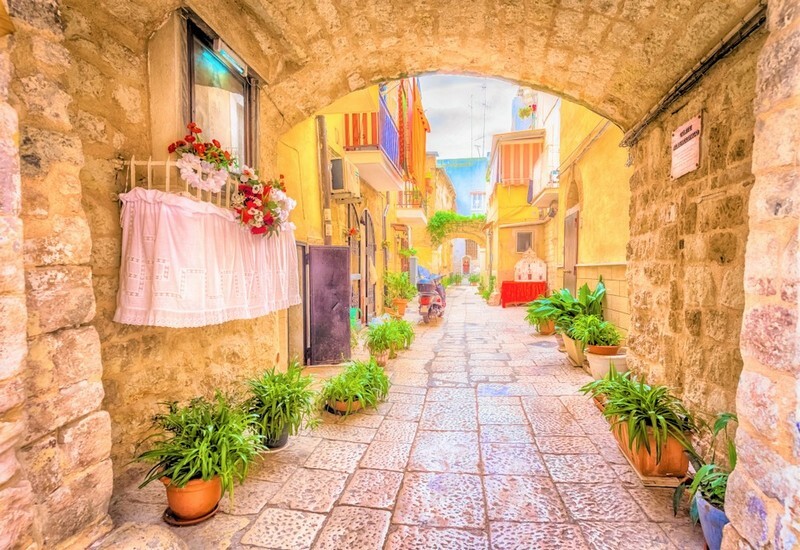 It’s a true Italian treat, rife with olive groves and of course gorgeous coastline that you’ll find hard to leave. There’s also plenty of attractions including scuba diving and a zoo safari, meaning it’s not only beautiful but great for families too. The largest of the five islands that make up the Cinque Terre, Riomaggiore is a real sight for sore eyes. With the classic pastel houses that are notorious in that area, to the rocky shoreline and stunning harbours, it’s one of the most popular of the five and a must visit if you’re in the area. Another little head turner, Positano is a gorgeous place located in the Amalfi Coast. With the typically idyllic pastel housing often smothered by flourishing wisteria and narrow cobbled streets, it’s just another place in Italy where your camera is going to wonder what hit it. Spiaggia Grande is its resident beach and flaunted as one of the largest on the Amalfi Coast. It’s often highlighted as one of the more chic beaches too, with celebrities and artists frequently being spotted enjoying the sun and sand. Located on the Amalfi coast, Portofino is a colourful and vibrant coastal town that’s a photographer’s dream. With gorgeous pastel housing nestled in the cliffs and overlooking the azure water, its southern location means glorious sunshine and some stunning sunsets too. The beaches are wonderful, and the fresh seafood goes down a treat with a cold glass of white wine. It’s also great for a slice of culture and fun, with art galleries, shops, and some wonderful nightlife as well as being part of the much-loved hike known unsurprisingly as ‘The Path of The Gods’. Found on the Amalfi coast and close to Sorrento, Capri is a visually stunning area that’s a heady mix of natural wonder and sophistication. It’s most photographed pieces are perhaps the iconic Faraglioni rock formations, a magnificent naturally occurring trio of rocks that sit proudly amid the water, and of course the beautiful Grotta Azzurra which has been drawing crowds to Capri forever and a day. Elsewhere there’s the incredibly fashionable Piazzetta with its beautiful square, for when you’ve done sightseeing and basking on the beach and want some good food and shopping! When life gives you lemons, they better be from Sorrento! This small and stunning coastal town is known for its dramatic cliffs, clear waters and of course the Piazza Tasso square. It’s a wonderful place especially for good food (and of course Limoncello) and has been intrinsically linked to some great creatives including the “mad, bad and dangerous to know” Lord Byron, and Charles Dickens, both of whom professed a love for the area in their own ways. Another one to make up the Cinque Terre, Manarola has a charm and romance about it that’s palpable as you wander along the winding streets amid the iconic colourful houses or stroll around the perfect little harbour. With a beautiful church that’s worth a visit, seemingly endless opportunities for good food and the lovely old oil mill, Manarola certainly is one of the calmest and most relaxing of Italy’s locations to visit. You won’t find a beach as such, but it is a great place for doing some deep-water swimming and the weather’s great too! Stretching along the Tyrrhenian Sea and aptly known as the 'Coast of the Gods' Tropea has all of the dramatic scenery you could hope for as well as a generous smattering of eateries, beaches, and gorgeous walks. It’s well known for its excellent ice cream that can be found in all manner of flavours as well as fabulous local wines and most especially its sweet red onions. As for the beaches which straddle either side of the town, they offer a great space to relax and bask in the sun while enjoying the beautiful scenery. Possibly the most adorable of all the Cinque Terre locations, Vernazza is a quaint and colourful delight, full of the charm and warmth you dream of when visiting Italy. With classic cobbled streets, cozy little cafes and of course, some amazing sea views, Vernazza is never dull. Often considered to be one of the most beautiful places in Italy (though that’s a hard crown to pass out with so much choice) it’s also in touch with its roots, with some lovely churches you can visit as well as the iconic bell tower. The two small beaches in the area are both wonderful places to spend a day, but be sure to secure a place early as they're understandable popular! Looking for someplace to stay in Italy? Here are all of our villas in Italy.